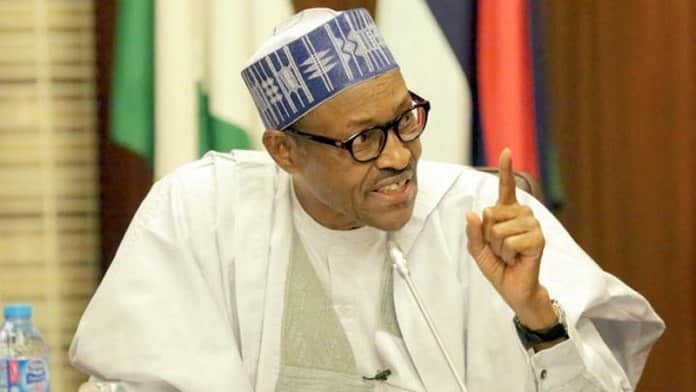 President Muhammadu Buhari today in Abuja, assured Nigerians that he will put in all efforts to ensure the best for the country and the citizens when he begins a second term in office on May 29, 2019, while appreciating all those that voted him during the elections. Receiving the Board of Trustees and Advisory Council of Gidauniyar Jihar Katsina (Katsina State Development Fund) led by Justice Mamman Nasir at the State House, President Buhari said his campaign to all states of the federation was an eye opener. The President said the crowd that welcomed his campaign train in each state was more than anyone can possibly “induce’’, attributing the turn outs to people’s appreciation of the efforts of his administration. President Buhari noted that he was the chairman of the Katsina State Development Fund for 17 years, during which period a lot was done to support education, healthcare and agriculture in the state, especially for those that were less privileged. In his remarks, the Galadima of Katsina, Justice Nasir, said the foundation returns gratitude to God and all Nigerians for giving President Buhari the opportunity to serve another term in office. “We are most grateful to almighty Allah for bringing you back for another term in office. Our happiness and gratitude goes to Nigerians for electing you,’’ he said. Justice Nasir said the foundation also remains grateful for the years the President served as its chairman.